Here at Re-visioning the Brontës HQ, we'd love to get our hands on these awesome Brontë action figures. Unfortunately, the toys depicted in this advertisement by Phil Lord and Chris Miller aren't actually in production. Still, along with making us chuckle, this action packed approach to the sisters' literary legacy gives us some food for thought concerning how the Brontës may be marketed to future generations. Locating a single image to covey the complexities of Wuthering Heights is perhaps an impossible task. Yet, the subtle art of book cover design has created many, sometimes surprising, responses to Emily Brontës well known novel. In anticipation of our upcoming conference, we have selected just some of these covers to examine how the book's themes of love, revenge, family, and identity, have been envisioned by publishers over time. 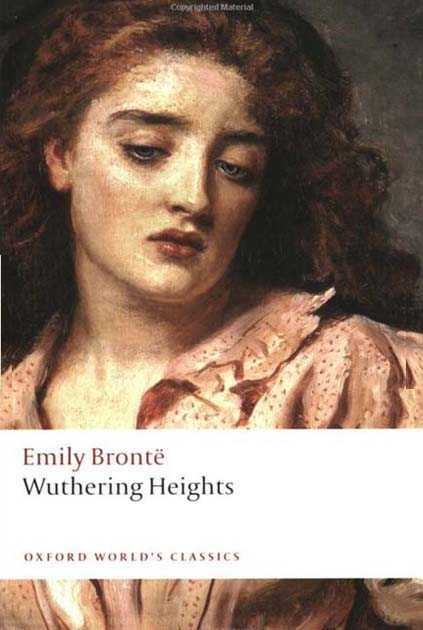 The heroine of Wuthering Heights, Catherine Earnshaw, is famously torn between the forces of nature and culture, symbolised in her contrasting love for Heathcliff and Edgar. Several book covers featuring Cathy have attempted to capture the character's torment. The character of Heathcliff is a profoundly difficult creation to assess. His deep devotion to Cathy is central to the book's narrative of obsession, and eventually drives him to the point of madness. Equally, his charisma, capacity for self-invention, and desire to reap revenge are central to his story. Many of these book covers seem fittingly mysterious in their portrayal of the complicated literary figure. Cathy famously identifies two versions of love when choosing to marry Edgar over Heathcliff. Although commonly known as a romance novel, the actuality of Wuthering Height's depictions express various dimensions beyond typical romance, from marriages of convenience to dangerous obsession. 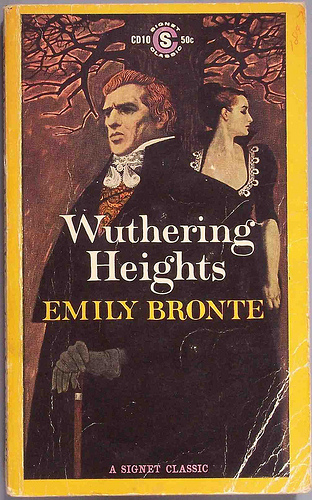 Perhaps as a result of the mythology that has grown around Cathy and Heathcliff, some book covers seem to overlook the complexity of relationships expressed in the story. 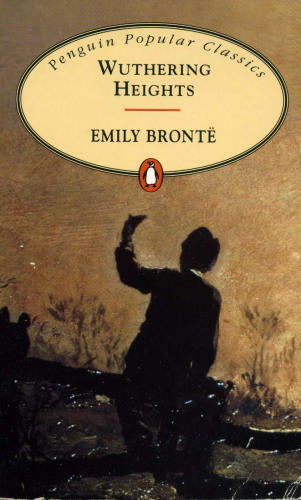 The forming of the Yorkshire moors as a character unto itself is widely considered to be one of Emily's most inspired literary techniques. 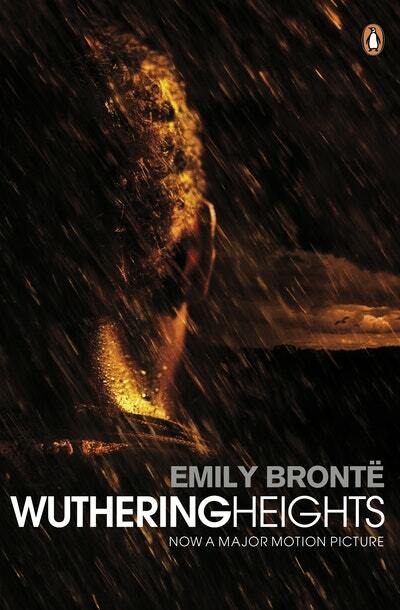 As the deeply atmospheric setting of Wuthering Heights, the wild and unpredictable countryside provides a fitting backdrop to the shifting nature of the character's relationships. The novel's remarkably descriptive landscape continues to provide readers with rich and memorable mental imagery, making it a common choice for book cover designs. If you would like to share your thoughts regarding this post, please do not hesitate to comment below. To register for the Re-visioning the Brontës conference at Leeds University, please visit http://bronterevision.eventbrite.co.uk. We do not own any of these images, but use this selection of book covers for academic purposes only. If there are any issues arising from their publication on this blog please contact bronte.revision@gmail.com. Re-Visioning the Brontës has been conceived with the intent of supporting two exhibitions to be held in Leeds from December. Each exhibition will uniquely examine the Brontës as a contemporary source of inspiration through the display of new work by artists from several fields. During the associated interdisciplinary conference, we will seek to further address the issues arising from the interpretation and adaptation of the Brontë family and their legacy. Wuthering Heights, Jane Eyre, The Tenant of Wildfell Hall; these are just some of the works produced by the Brontës which have an enduring and universal appeal. The inspirational legacy of the Brontë family can be seen in a wide variety of contemporary creativity. This exhibition is a special opportunity to see, in one place, the work of emerging and established artists, all of whom cite the Brontës as a source of continuing inspiration for their own creative practice. This exhibition highlights rarely seen manuscript material written by the young Branwell Brontë from the Brotherton Library Special Collections which has been 'brought to life' by contemporary interpretation of this material by students from Leeds College of Art's Visual Communications course. For further information, including booking details, please contact bronte.revision@gmail.com.